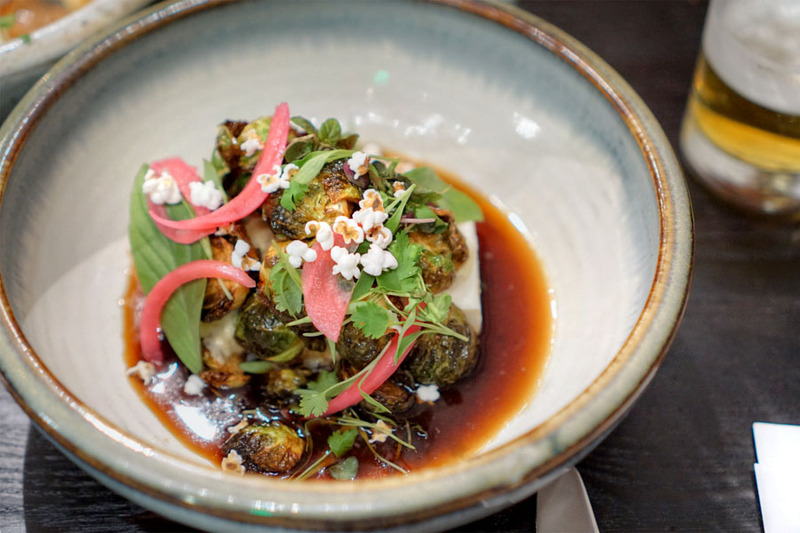 Nick Erven's probably been one of Los Angeles' break-out chefs of the past couple years, first making a name for himself over at K-Town's Saint Martha. That place ended up closing at the end of last year though, and he quickly moved to Fundamental LA, replacing Phil Pretty, but that gig only lasted 'til this May. 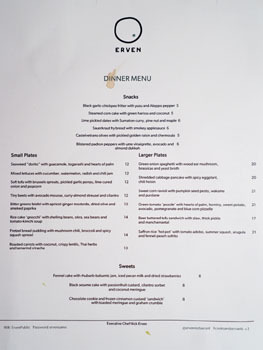 After leaving, Erven teamed up with Midcourse Hospitality Group's Eric Greenspan, Jim Hustead, and James Moon (the guys behind Maré), and debuted Erven on July 18th as a modern American eatery that happens to be vegan. 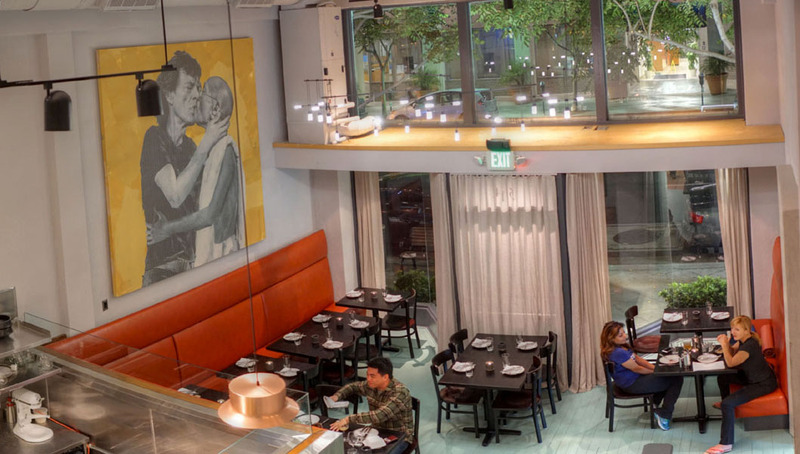 Fittingly, Erven resides at the address that used to be home to the longstanding Real Food Daily (as well as Golden China in the left side of the space), which has been given a makeover by Hustead and Vein Design's Nicole Palczynski. The lower level houses the main dining room as well as a retail area, while there are also two separate dining areas upstairs. 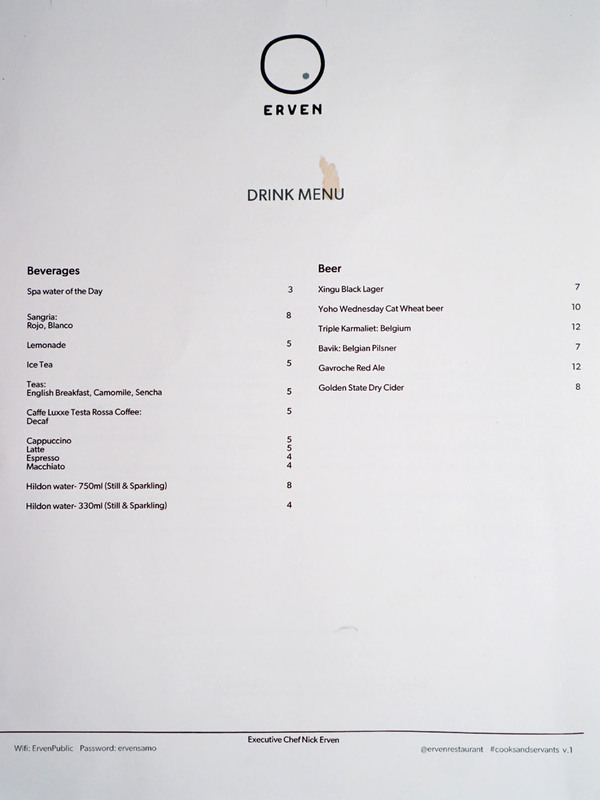 Menu-wise, Erven's plant-based cuisine is divided into sections for snacky/small/large plates, as well as desserts, and there's also a separate, more casual daytime menu with a grab-and-go component. 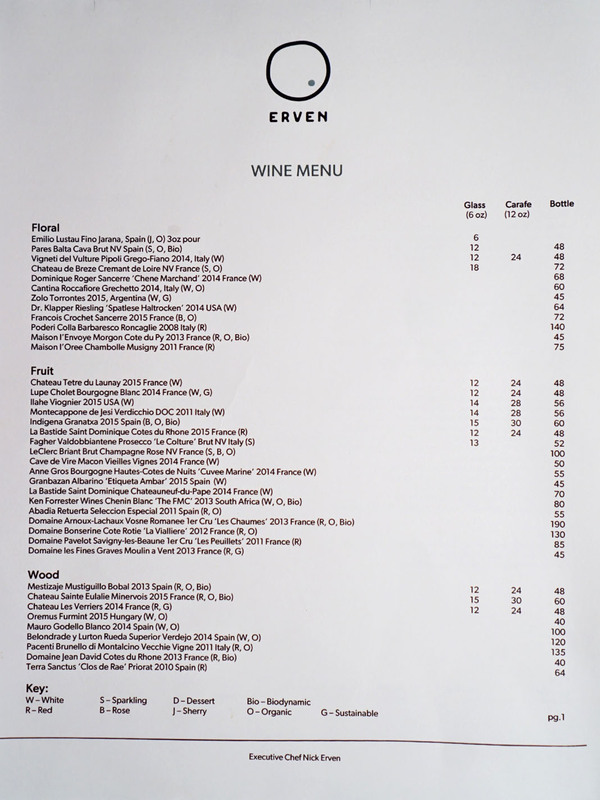 To drink, you'll find a decently sized, mostly Old World wine list as well as a handful of beers. Click for larger versions. 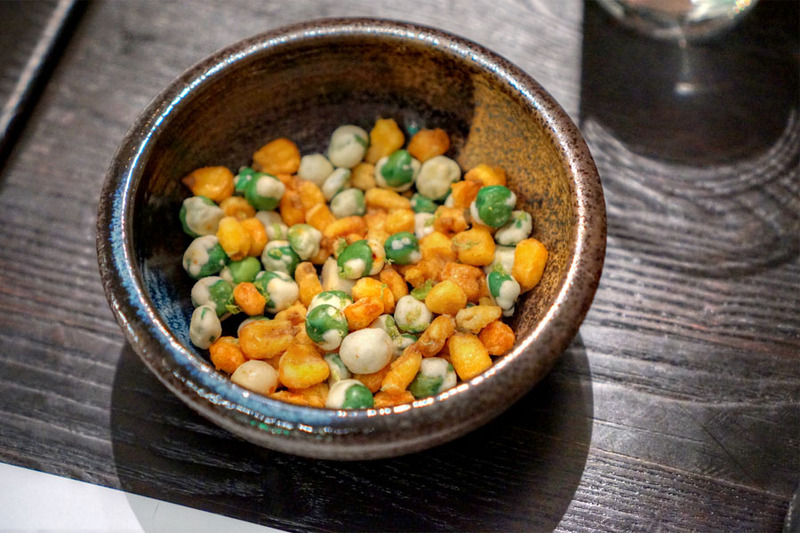 To begin: a bowl of what basically amounted to corn nuts and wasabi peas. 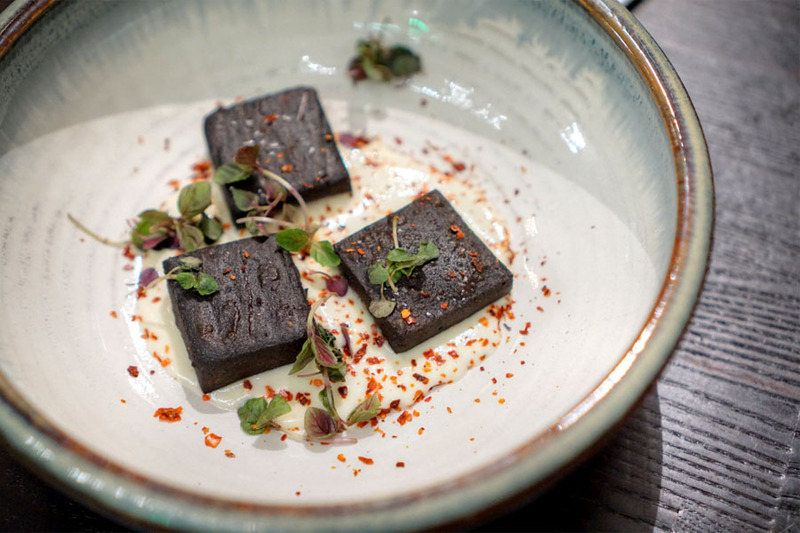 Slabs of black garlic-enriched chickpea were super savory with a hint of sweet-n-sour, and showed off a rich, lingering garlickiness that matched the tanginess of yuzu. Tasty, though I would've liked more textural variation in the dish. 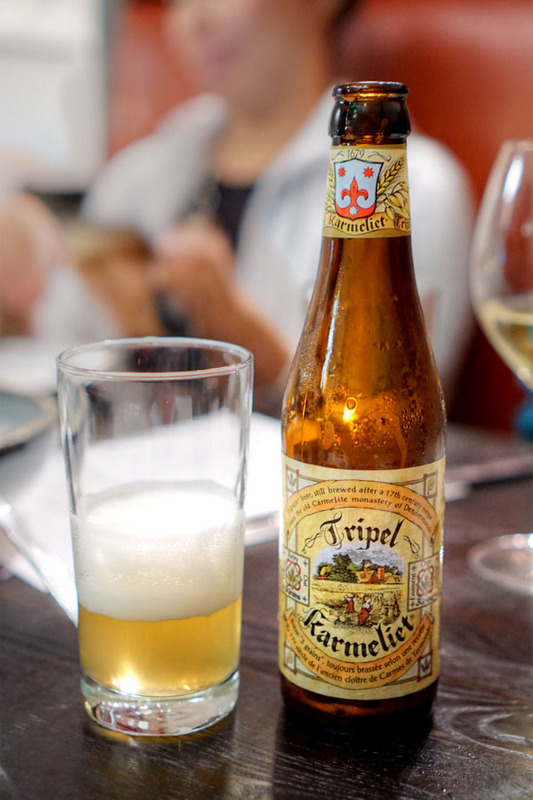 The Tripel Karmeliet [$12] was prototypical of the style. Nose was lemony and bready, with a palate that conveyed lots of sweet biscuit, citrus, and peppery spice. Very nicely balanced overall. The corn cake went over well. The sweetness of the corn was very apparent, augmented by notes of coconut while harissa worked as a wonderfully zippy counterpoint. 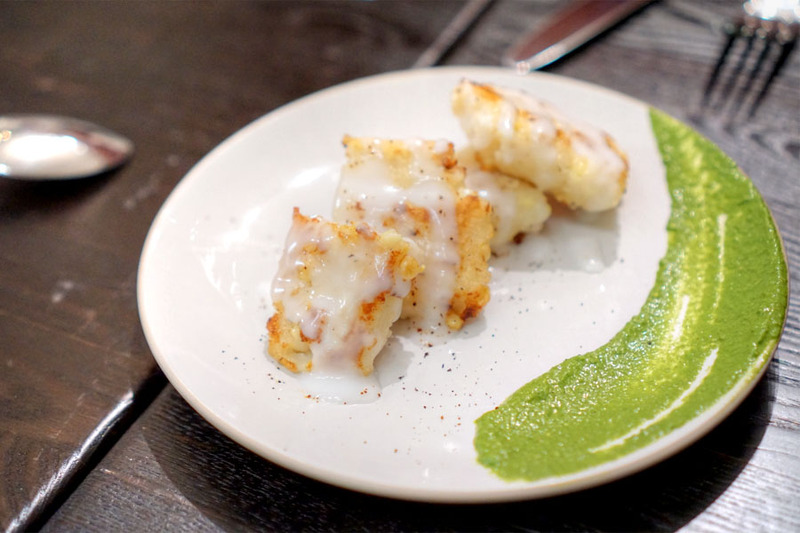 This was a favorite of mine, thanks to the gnocchi's delightful chew, char, and savoriness. 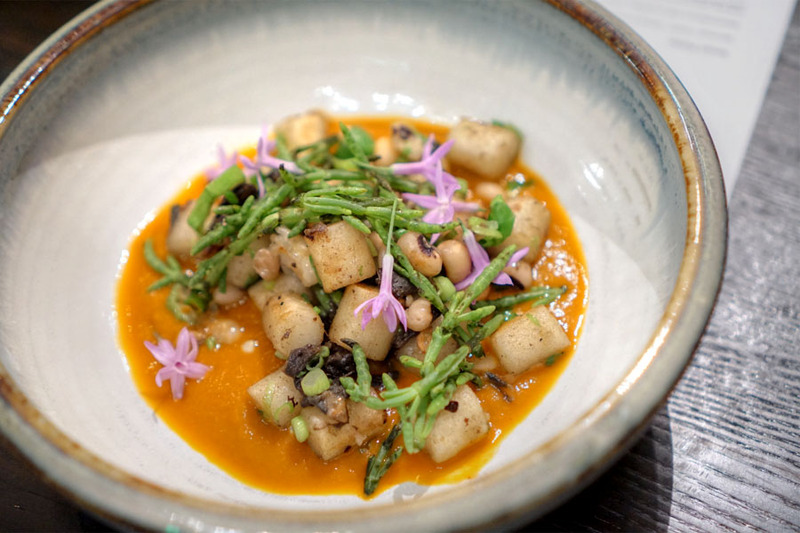 I was a fan of the salty sea beans as well, and definitely appreciated how the tanginess of the soup really tied it all together. Some great textures to boot. 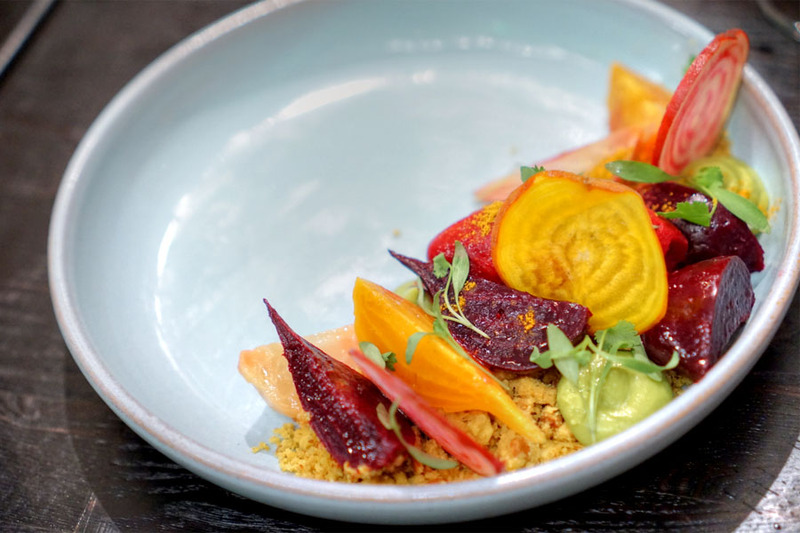 Beets arrived fresh, sweet, earthy, lessened in potency by the nutty-sweet streusel and avocado. Lovely temperature contrast here from the sorbet too. 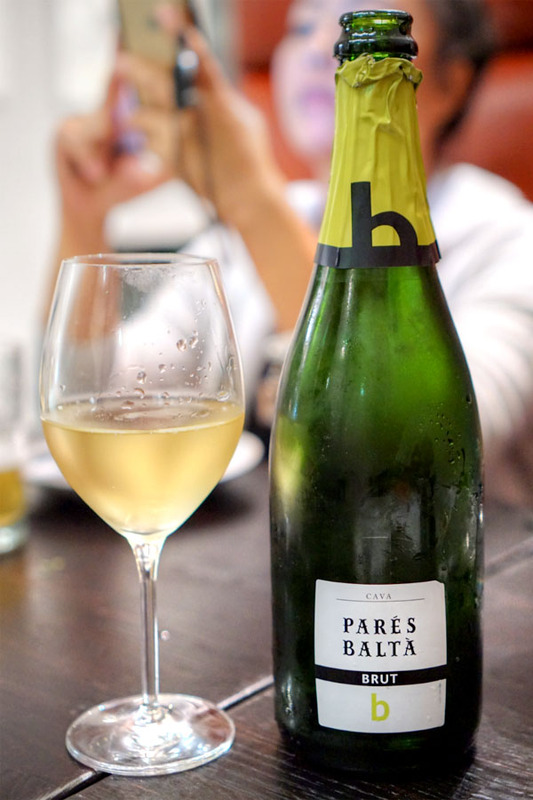 A bottle of Pares Balta Cava Brut NV Spain [$48] handled sparkling wine duties for the night. 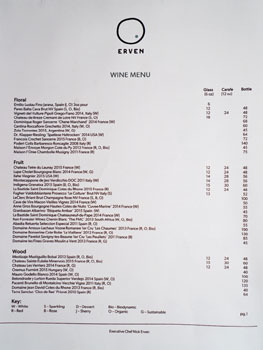 It was a solid example of the style: nose of juicy apple, lemon, and some yeastiness, while the palate displayed more tart fruit at first, but with the back end going drier, crisp, more mineral-driven. Erven's "Doritos" from the Saint Martha days reappeared tonight, and with even better results than before. 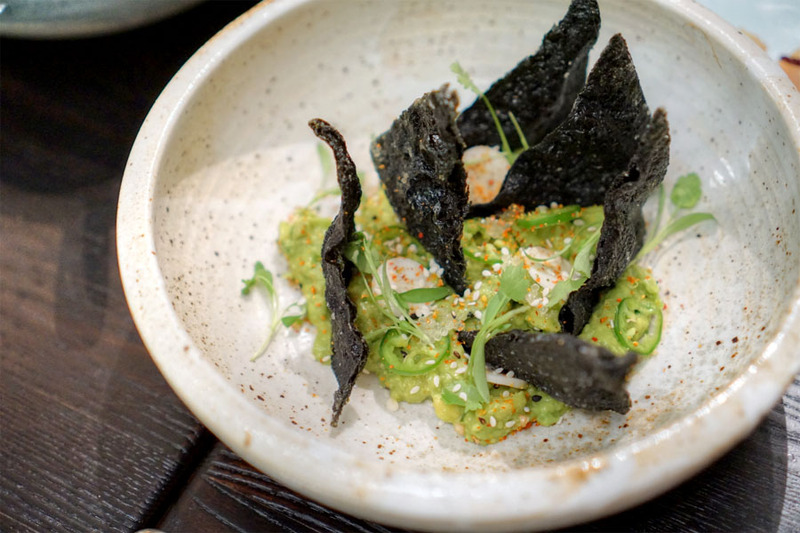 I loved the savoriness and crunch of the seaweed chips, which made for a perfect vessel for the creamy, spicy, tart notes of the guac. Another standout. Gritty patties of falafel could've been moister on the inside, though they were generally tasty, with a subtle spicing that balanced out the sweet-ish nature of that mostarda. 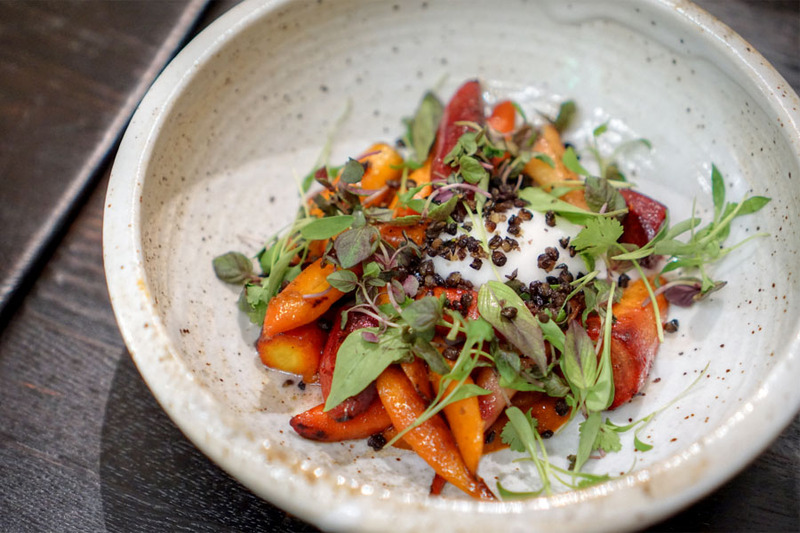 Carrots showcased a range of textures, and had a sweetness to 'em that went effortlessly with the creeping spice of that sriracha. 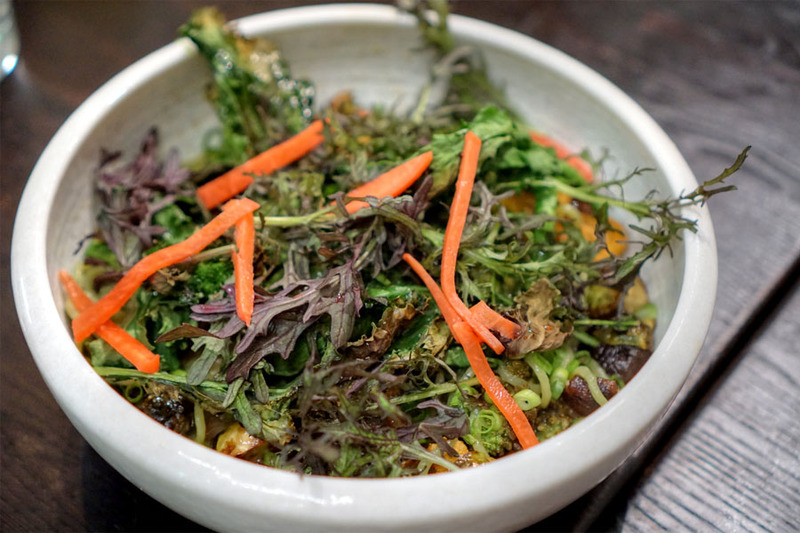 The coconut made sense here too, but perhaps the best part was the use of Thai herbs, which worked beautifully in brightening the dish. 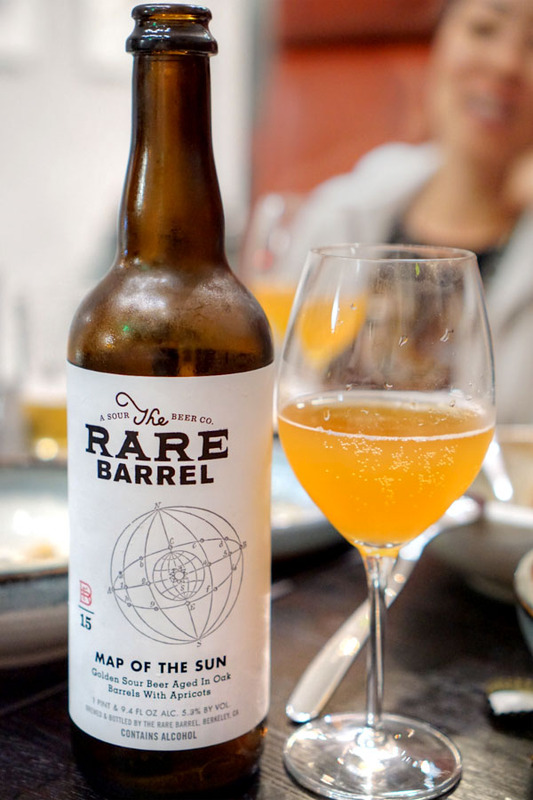 Next to drink was the 2015 The Rare Barrel Map of the Sun, an oak-aged, Brett'd, Lacto'd, Pedio'd sour with apricots. This one smelled great, with plenty of rich stone fruit and sweet spice intertwined with funk. The taste also delivered: acidic and tart at first with traces of Brett, the jamminess and sweetness of apricot coming in later and lingering long. Given that this was bread pudding, and thus quite soft, I wanted more textural variation in the dish. That being said, it did hit the mark taste-wise, as I was quite fond of that hearty, homey chili, and definitely appreciated the bitterness and char of the broccoli as well. This was another favorite for me. I loved the ramen-like texture on the noodles and their inherent tanginess from the green onion, but also key was the deep, richly-flavored broth and the bitterness of the various greenery. 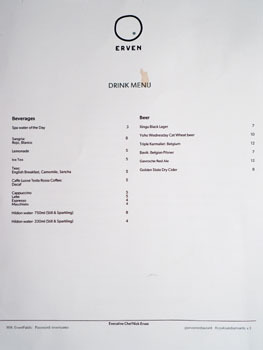 Since we were ordering so much anyway, the kitchen sent out a bonus course. 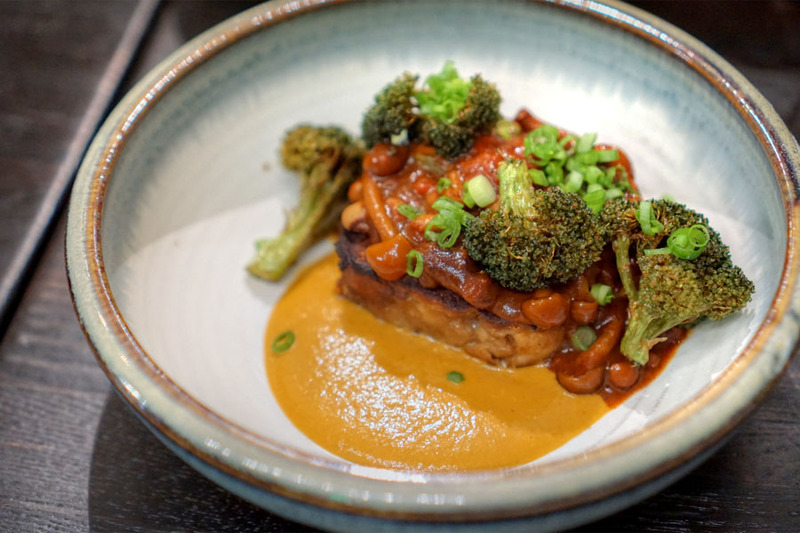 The Brussels themselves were on point with their bitterness, char, and texture, and combined with the tangy broth, worked perfectly as a complement to the comparatively mild tofu. 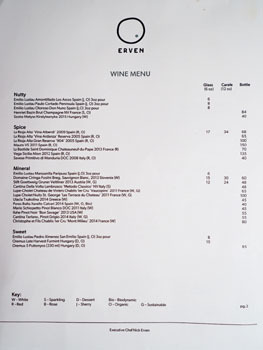 Excellent accents from the herbs up top, too. 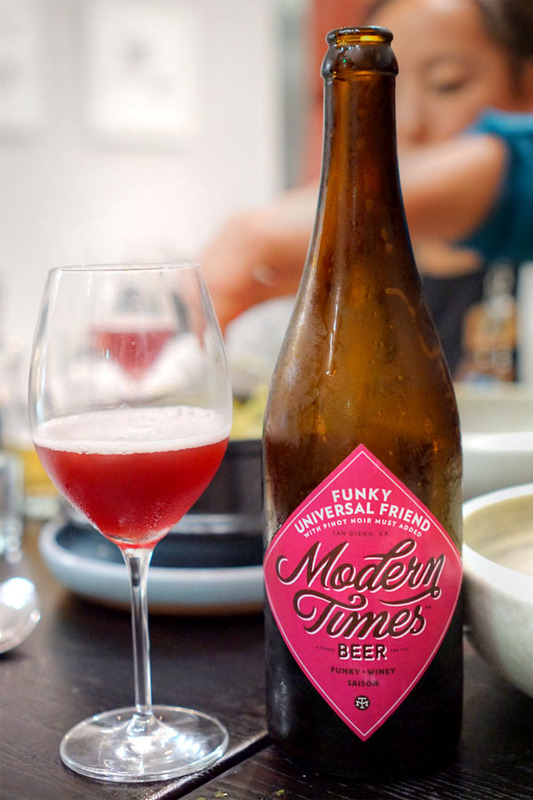 For our next beverage, we opted for a Brett saison, the 2015 Modern Times Funky Universal Friend with Pinot Noir Must. I got a nose filled with sweet, jammy grape must underscored by yeast. The taste was super floral, with more wine-y fruit, a bit of funk, and a sourness near the finish. I'm a fan of pozole, so this was a must-order for me. 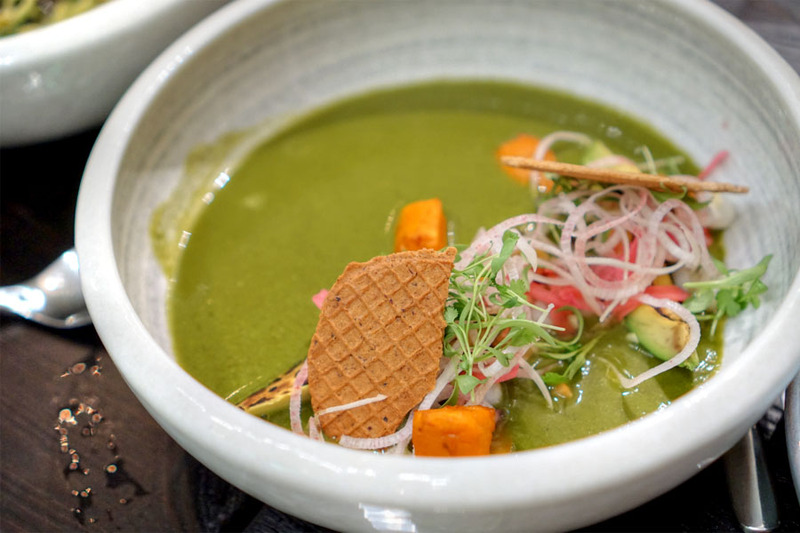 The star here was that broth, which came out super bright and super sharp, a great base for the lush-sweet nature of avocado and sweet potato to shine. Lovely textures from the hominy too. 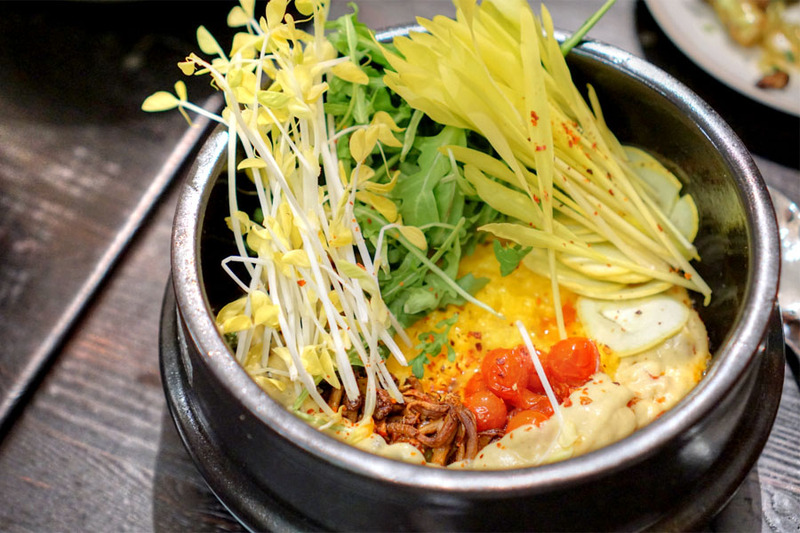 Erven's take on hot pot was a cozy sort of course, one that proudly conveyed the grassy, bitter nature of saffron and sprouts against the rich background of that rice. 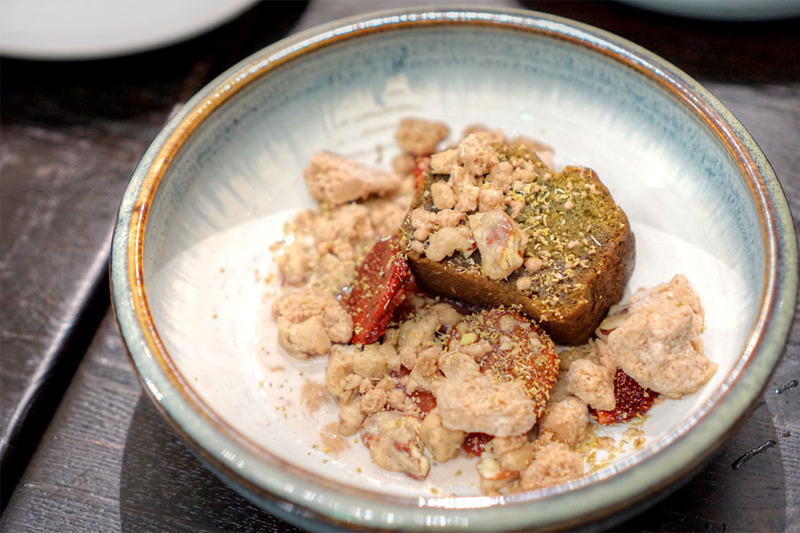 Also crucial were the varied textures in the dish, not to mention the additional earthiness from the mushrooms. Our final course before dessert reminded me a bit of congyoubing, which I guess shouldn't be too surprising. 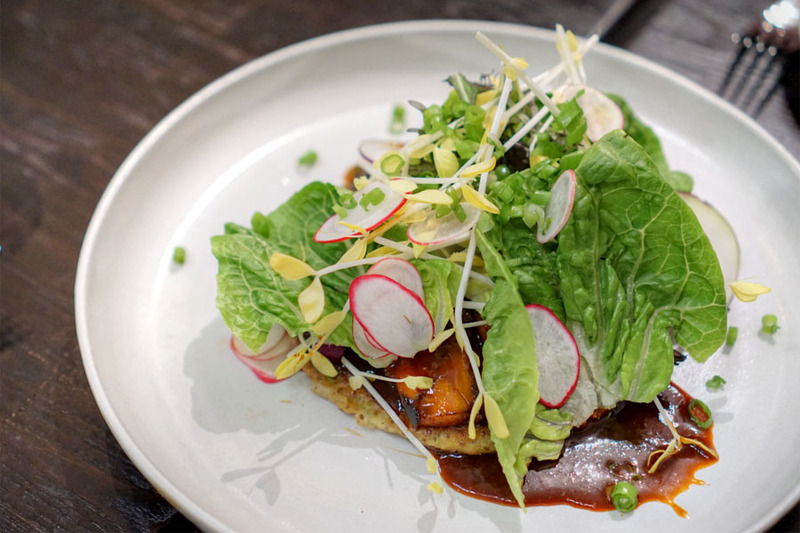 I got a welcomed char on the pancake, and also liked the boldly savory, spicy hoisin utilized, which worked even better with the eggplant (that could be the basis for another dish right there). The various veggies, meanwhile, were critical in providing some lightness to things. 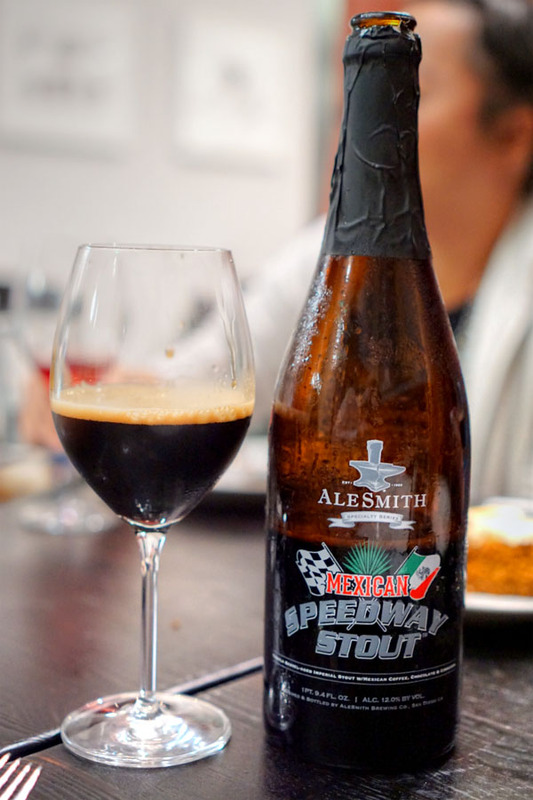 To go with dessert, we opted for the 2016 AleSmith Mexican Speedway Stout, made with coffee, chocolate, and cinnamon, and partially aged in tequila barrels. Smelled of chocolate and sweet spice with boozy tequila mixed in. The palate displayed roasty coffee at first, then more chocolate, with a warming spice bringing up the rear and persisting. 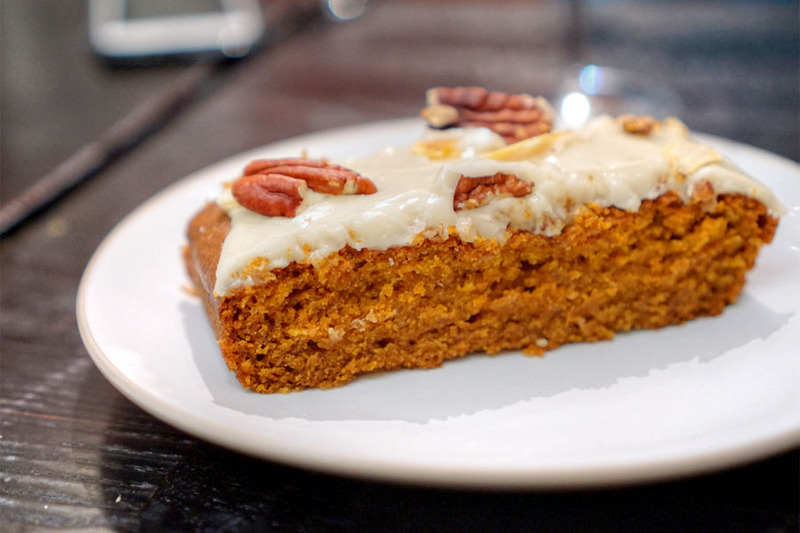 A complementary carrot cake from the retail side of the operation was soft, moist, dense, with a nice carrot sweetness. I wasn't too keen on the icing, however, though the walnuts did help. The fennel cake was a success. 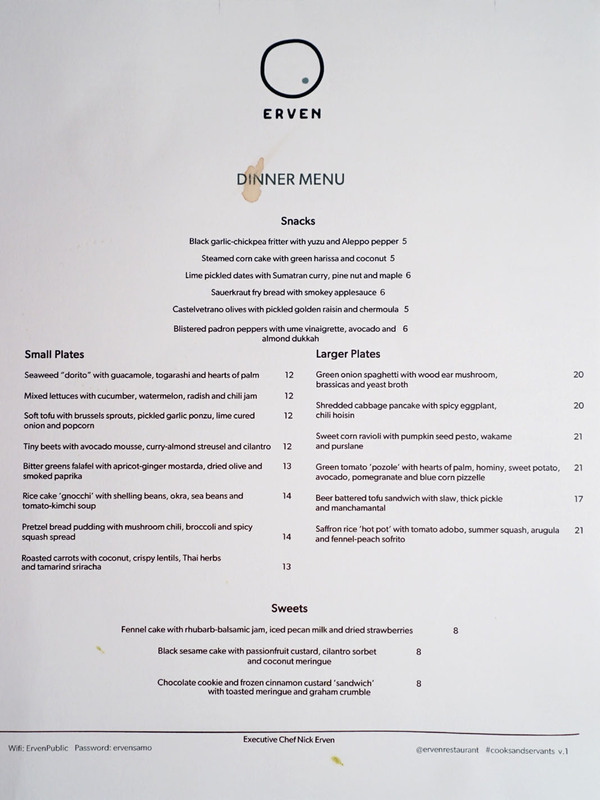 Loved the sheer jamminess of the dish, as well as how the pecan milk worked as a contrast. Great textures too, especially from the crumbly bits. Black sesame actually worked out quite well with passion fruit, while the meringue gave the dessert a much appreciated crunch. The crux here, though, was the cilantro and the zesty, herby brightness it imparted. 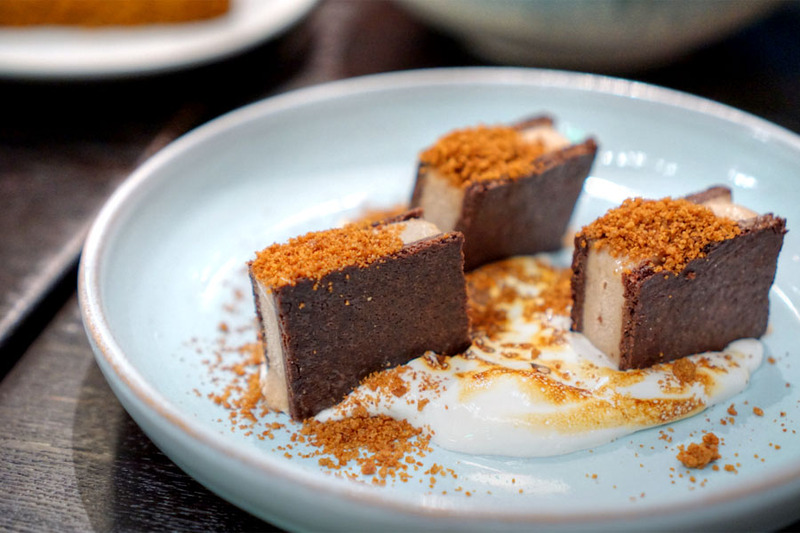 Chocolate meshed well with cinnamon custard, which had a wonderful spiciness reminiscent of Red Hots. 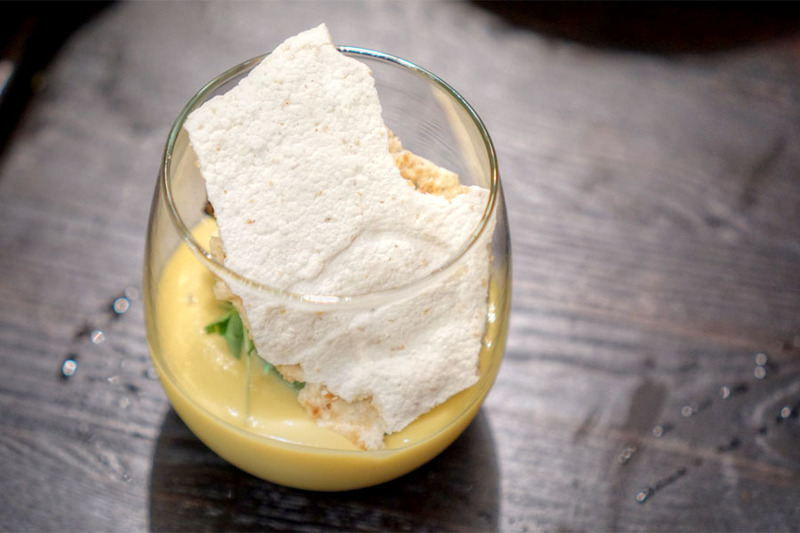 It was somewhat intense, so the meringue and graham were key in bringing eveything together. 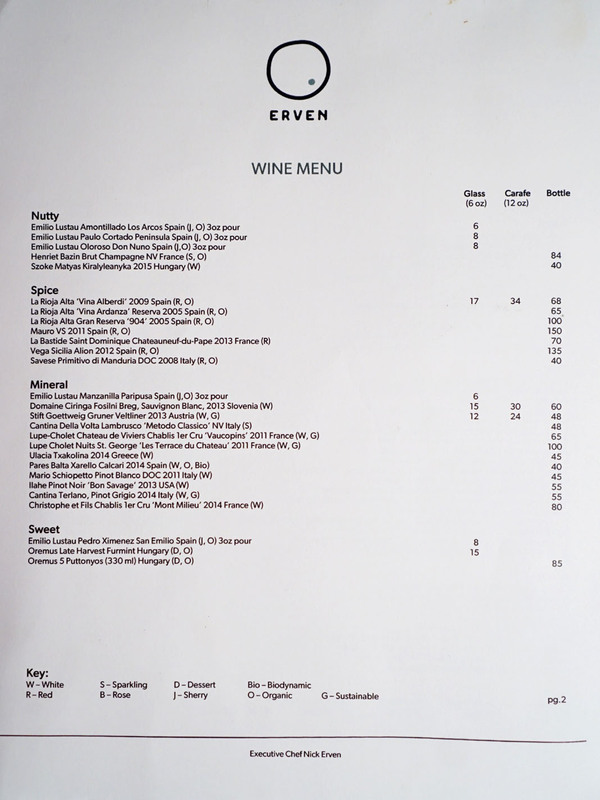 If you subscribe to a plant-based diet, Erven should be at the top of your list to check out, and even if you don't, it should be pretty high up there too. 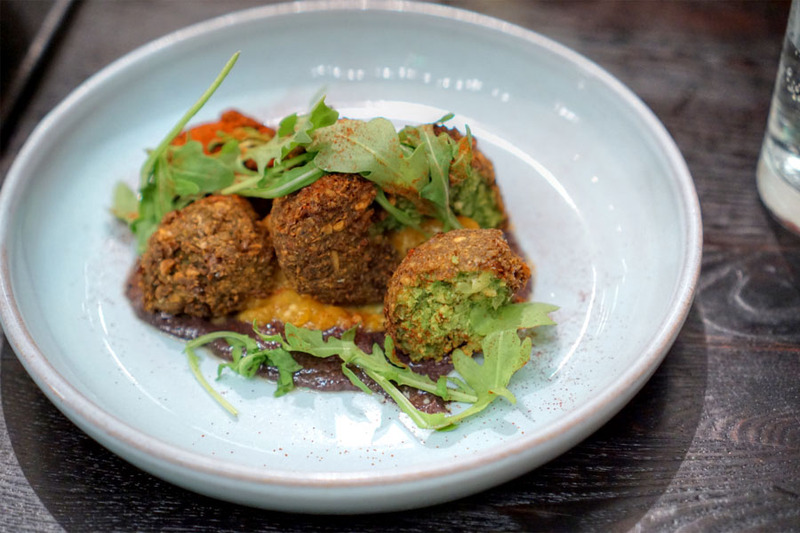 The cooking has to be some of the most ambitious, the most exciting to hit Santa Monica in a while, vegan or not, and at no time during the meal did I feel like I was "missing the meat." I hope this place sticks around longer than Saint Martha did. A big bowl of spicy beef noodle soup would have been better.